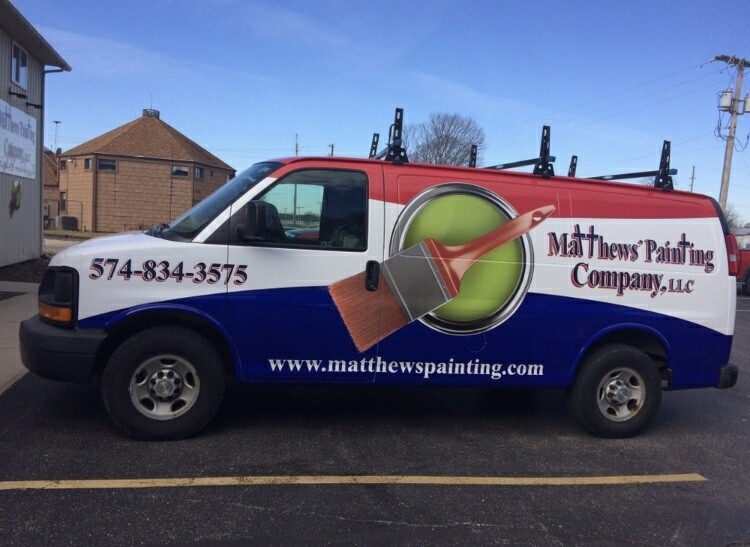 Why Hire Matthews’ Painting Company? Our painting and pressure washing company is a registered painting contractor with the State of Indiana with over 20 years of experience in pressure washing, interior painting and staining, exterior painting and staining, drywall repair,and wallpaper removal. Our painting and pressure washing firm has completed over 1000 homes and commercial businesses in the Painting in Warsaw, Syracuse, Goshen and Surrounding Counties Warsaw, Winona Lake, Syracuse, Leesburg, Goshen, Columbia City, North Manchester, Lake Wawasee, and Lake Tippecanoe areas. Our painting firm carries a 2 million General Liability Insurance and Umbrella Policy to protect your home or business. We also maintain Workman’s Compensation Insurance on all of our painters. All of our painters are employees rather than subcontractors. We perform nation wide background checks and drug screening on all of our painters prior to and during employment. In addition, on-going training and mandatory safety classes are provided for all of our painters through Safety Training Solutions. Our uniformed painters are committed to customer service. Our painting, staining, drywall repair and pressure washing business has been specializing in occupied residential homes and commercial businesses since 1998. Our painting and pressure washing business is members in good standing with the Better Business Bureau and has maintained an A+ rating since inception. 0-10% down payments only on most interior and exterior painting, kitchen cabinet refinishing, deck staining, wallpaper removal, drywall repairs, pressure washing and log home staining and sealing projects. Walk-throughs with our Lead Painter are recommended to each customer toward the end of each painting, staining, or pressure washing project to guarantee that the work order was completed as specified prior to our painters leaving your home or commercial business. 100% Satisfaction Guarantee. We exceed all of our local competitors painting warranties by providing a 7 Year Labor and Material Warranty and 1 Year of Free Touch Up Painting for Life. A comparison checklist is provided on our website to assist you in making a decision on which painting and pressure washing firm to hire. Dust and fumes, which are generated on most interior drywall repair and painting projects, can be minimized greatly by our extensive covering and protection of your furniture and belongings and the low odor, low VOC Benjamin Moore paints that we are using. This is a great benefit to your health and over all well being. All exterior surfaces to be primed, painted, or stained are first tested with our self-calibrated moisture instrument to ensure that the moisture content is near 15% or under. Studies indicate that the number one cause for exterior paint or stain failure is due to excessive moisture in the substrate prior to the application of paint or stain. When we come out to bid your project, we present you with the price on the initial visit if desired. A packet is also provided for you which contains our insurance information and over 200 positive references with phone numbers. This packet also contains detailed information on what you can expect on your interior painting , pressure washing, or exterior painting projects. Your painting and staining written warranty is also included. We are 1 of 2 Warsaw, Indiana painting companies who are members of the Painting and Decorating Contractors of America. This painting organization is the only one of its kind and sets the standard for safety and proper procedure in the painting and wallpaper industry. Members are required to follow the painting and staining industry standards and follow the PDCA Code of Ethics.